Amazon.com description: Product Description: This volume offers an up-to-date review of early medieval life in Alammania. It is structured according to five central dualities: archeology and history, law and language, habitus and funeral customs, settlements and economy, and church and faith. Its interdisciplinary approach takes stock of issues of source interpretation along with the burdens of past scholarship. 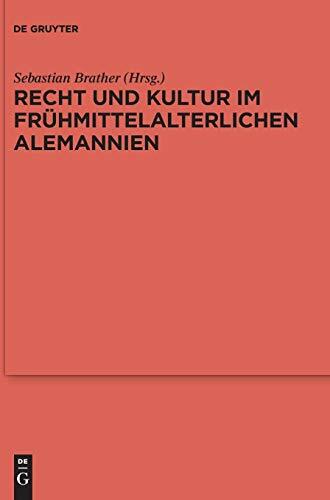 from Walter De Gruyter Inc (September 30, 2017); titled "Recht Und Kultur Im FrÃ¼hmittelalterlichen Alemannien: Rechtsgeschichte, ArchÃ¤ologie Und Geschichte Des 7. Und 8. Jahrhunderts"
About: This volume offers an up-to-date review of early medieval life in Alammania.